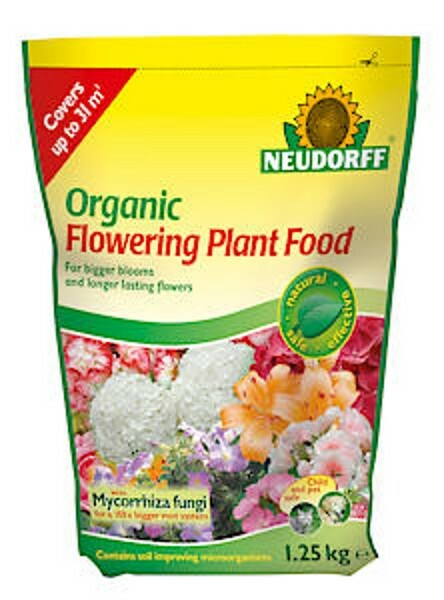 vegetation residues, organic materials and living microorganisms.This product is ideal for bigger blooms & longer lasting flowers. Fast acting and continues to feed for up to 100 days. 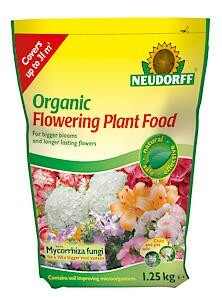 Organic flowering plant food is also suitable for all year round use.